Orange Nails for the #31DC2017Weekly! - Polish Etc. Orange Nails for the #31DC2017Weekly! 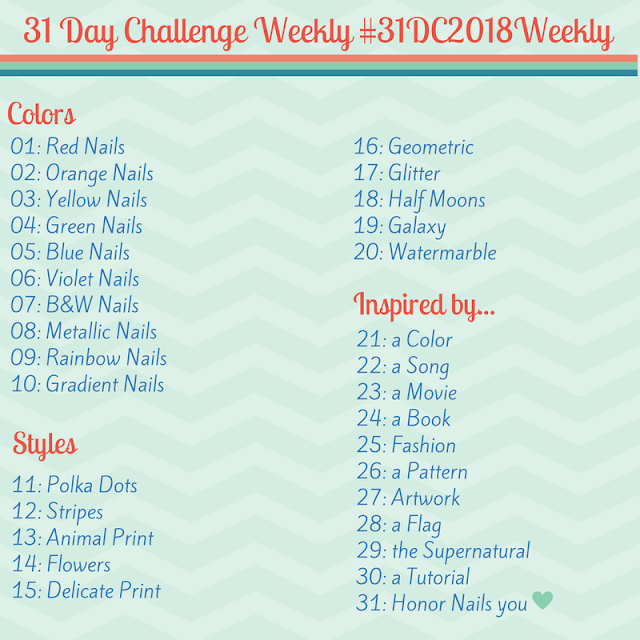 It's Sunday, time for the next prompt of the weekly version of the 31 Day Nail Art Challenge. 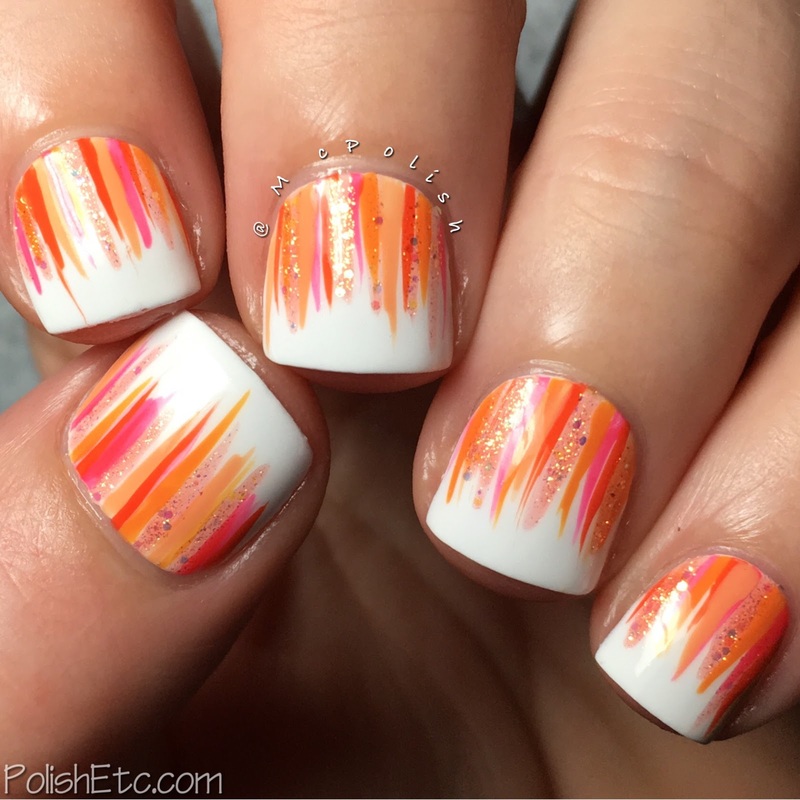 This week, we are creating nail art inspired by the color orange. Orange is one of my favorite colors. I used to never like orange, but once it became my university color I was hooked. 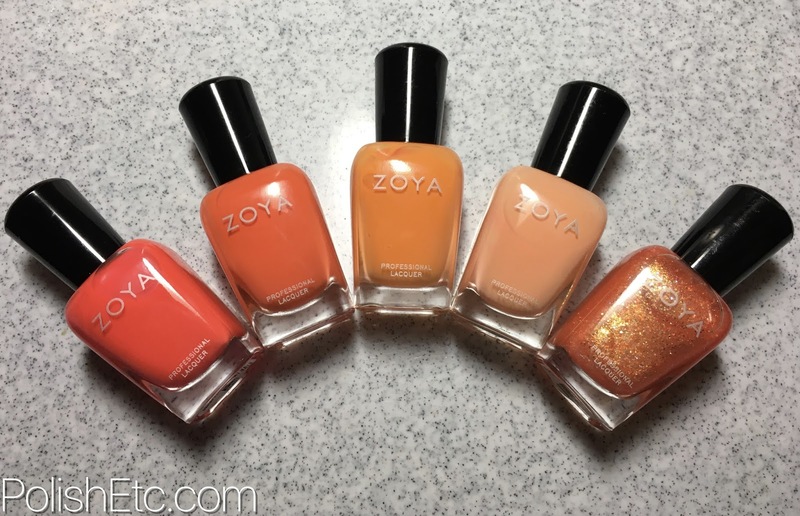 Basically, I have a tone of orange nail polish. So I decided to gather up a group of Zoya polishes in a variety of orange shades and create a fun waterfall manicure. I used all Zoya Nail Polishes for this look. I started with a base of Purity which is a stark white creme. Then I used a striping brush with the orange polishes to create the stripes flowing off my cuticles. I have always love this type of manicure (created by The Nailasaurus), You can use some many different color combinations and get a nice end result. Here are the colors I used. From left to right: Ezra, Cam, Arizona, Cole and Jesy. Yay orange!! Be sure to check out all of the other ladies joining in on the weekly challenge this year. You can scope out the tag #31DC2017Weekly on Instagram, Facebook and Twitter. And also, don't forget to check out my pal, Lotte, who is hosting the challenge with me as well! This looks really cool! It's been AGES since I've done a waterfall manicure! 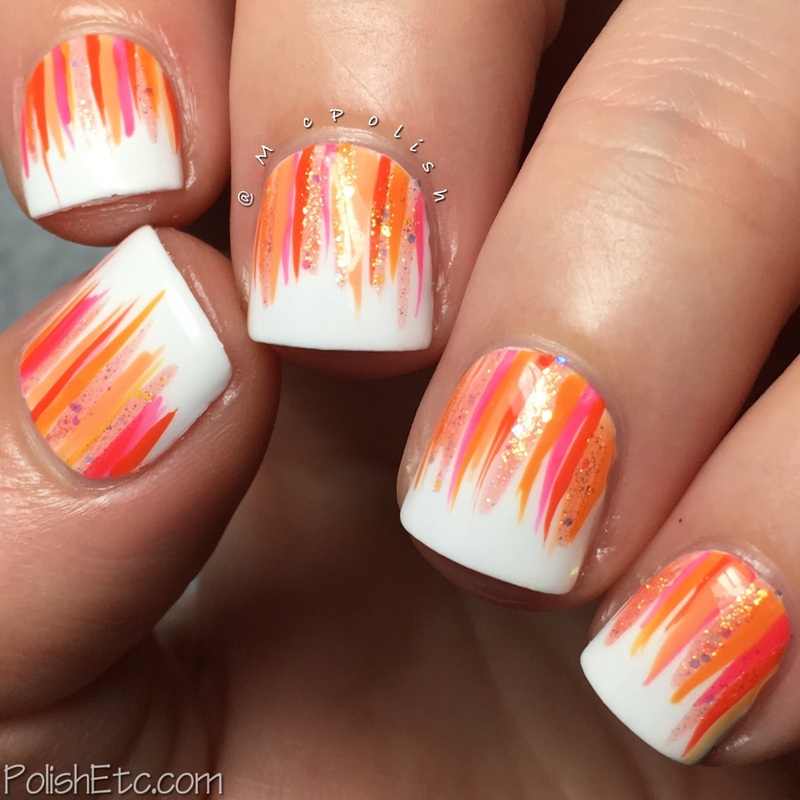 Orange is a great color and i love waterfall manicures so this is great! Love this mix of colors! So happy!